A Book Review–If I Run by Terri Blackstock. Wow! I knew it had been a while since I posted here but I had no idea it was before Christmas. 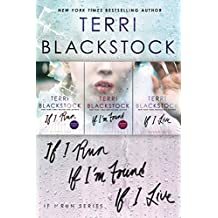 Anyway, I just finished book 3 in the IF I RUN series by Terri Blackstock so I thought I’d do a review of the series. I love Terri Blackstock books. In fact the first time I read one of her book, I said to myself–she writes like me! So, of course, why wouldn’t I love her books? Anyway…the series contains three books–If I Run; If I’m Found; and If I Live. I’m not going to talk about each of them individually but as a group. As always, the story is filled with loveable characters as well as villains to hate, lots of action but some sweet moments as well. All three books follow Casey who has gotten herself in a big mess–not of her own doing but still a mess. Even as Casey runs for her own life, she’s brave enough not to turn her back on others when she can help them. And, of course, she falls in love during the course of the stories but I won’t ruin it by telling you who it is. The story has a strong Christian content which I enjoyed as well. So, I loved the story but and it’s a big but for me, the story is written in first person present tense instead of the traditional third person past. If you don’t know what that means and there’s no reason to unless you’re a writer or a speech pathologist or an English teacher, I’ll demonstrate it for you. 3rd person past: As she walked down the street, a man jumped at her. 1st person present: As I walk down the street, a man jumps at me. A lot of young adult novels are written in the 1st person present tense. Personally I don’t like it but Terri Blackstock is such a masterful writer that I was able to overcome my dislike of the format–this time. So I’d definitely recommend the books if you’re looking for some romantic suspense with a Christian theme. 5 Ways To Help A Writer? First let me assure you that all writers need your help, whether they’re world-famous like Stephen King, well-known in the Christian writing community like Terri Blackstock and Brandilynn Collins, or a relatively unknown writer like ME! There are so many books and writers out there that any one book or writer can get lost in the avalanche. So exactly how can you help your favorite writer (like ME)? First, of course, is to buy their books. Second, talk about their books with other people. Word of mouth is still the best way to sell books. And, of course, word of mouth includes talking about them on your social media accounts. Third is to leave positive reviews at various online bookstores (Amazon and Barnes & Nobles and others) and other sites that encourage that like GOODREADS.COM If you don’t know what Goodreads is, it’s a huge online site for book lovers with lots of different activities. Definitely worth your time if you love reading. Fourth is to go to your local library and request a book or books by your favorite writers. Most libraries will take your request into consideration and often purchase them. That not only helps the writer by a book purchase but will introduce them to other readers by having the book available in that library. Fifth is to connect with your favorite writer on one of your social media sites. We love to hear from people who love our books. It’s a real morale boost when someone tells you that they enjoy your hard work. So thanks to all of you who support and encourage me as a writer and a person! PS. 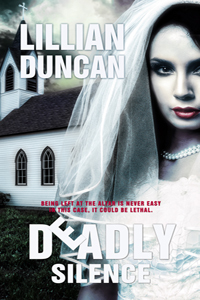 Don’t forget to take a look at DEADLY SILENCE, my latest release if you haven’t already!